Celeste Humphrey Mergens is a humanitarian and founder of a global effort to improve the social and economic welfare of women in third-world countries. 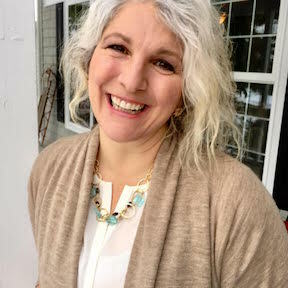 Mergens, a member of The Church of Jesus Christ of Latter-day Saints, earned a master’s degree in creative writing after her children were all in school and was trained in global sustainable development. She worked with a non-governmental organization that partnered to improve conditions in a 400-child orphanage in Kenya. After post-election violence in that country in 2008, Mergens received a call from the orphanage telling her that the numbers of children had swollen to 1,400 and that they had no food. She immediately went to her knees and prayed for hours to know what she could do to get them needed supplies. She eventually fell asleep but bolted awake at 2:30 in the morning with a question in her mind: “Have you asked what the girls are doing for feminine hygiene?” She immediately sent an email to the orphanage and asked that question. The answer that came back was “Nothing.” When the girls were menstruating, they had to wait in their rooms and sit on cardboard for three to four days. When possible, friends would bring them food and water. When girls miss school three to seven days a month, they fall behind and eventually drop out. But a girl who stays in school improves her future and raises her family’s economic stability. Some feminine products were available, but only if the girls were willing to endure sexual exploitation in exchange. So Mergens set to work researching solutions. Initial attempts to provide disposable hygiene products showed her that disposable didn’t work in countries that functioned with pit latrines and other sanitation limitations. After trial and error and talking to women who used the kits she created, she developed a washable, reusable pad system. Each kit gives girls 180 days over three years. Days for Girls operates in more than 120 states in 17 nations on 6 continents and is supported by over 1,000 chapters and teams who construct and assemble the kits. They have reached over 1 million women and girls. Mergens and other leaders travel to teach others about the Days for Girls effort. They also travel to countries and villages where they hand-deliver kits and instruct women and girls about feminine hygiene, how to use the kits, and how to make their own. They have also found themselves explaining menstruation and a woman’s right to defend herself against sexual violence. Mergens and her husband, Don, are the parents of six children. They also hosted six foreign exchange students and provided a home to six foster children. They live in Lynden, Washington. She was named Washington state Mother of the Year for 2014 by American Mothers Inc.
Days for Girls won the African Seed Award for Gender Equity and Entrepreneurship in 2015. Mergens won the AARP Purpose Prize Award in September of 2017. She was among the 20 distinguished women honored "for their achievements and courageous life choices" at the "Hear Her Song" premiere at the Washington, D.C.'s National Gallery of Art on March 18, 2018. This page was last edited on 30 March 2018, at 08:27.